1GR8VACATION: Pacific Northwest Getting There! 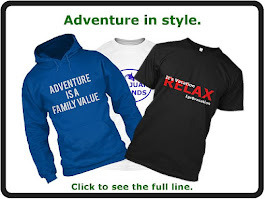 Thank you for visiting my family vacations on a budget blog. My family loves to travel! However my husband & I are both teachers making a budget all the more important. We have one child, our son is 13. I want to show him as much of this great world as I can before he is grown. This summer we visited the Pacific Northwest for our family vacation. We traveled July 11th-20th throughout this beautiful area of the United States. In this blog post I will tell you how we traveled to the Pacific Northwest, while maintaining a budget. In the coming weeks I will feature a different destination or travel tip from our Pacific Northwest journey. Subscribe to my blog so you don't miss any of my posts from this fantastic family vacation (on a budget). We like to fly Southwest Airlines - 2 bags plus a carry on fly free! My family lives in Texas. If we chose to drive to the Pacific Northwest & see all of the places we visited on our trip we would have traveled 6,000 miles! We quickly decided driving would not be an option for this vacation. We opted to fly. We have flown Southwest Air previously and had a good experience so we decided to once again fly with them. 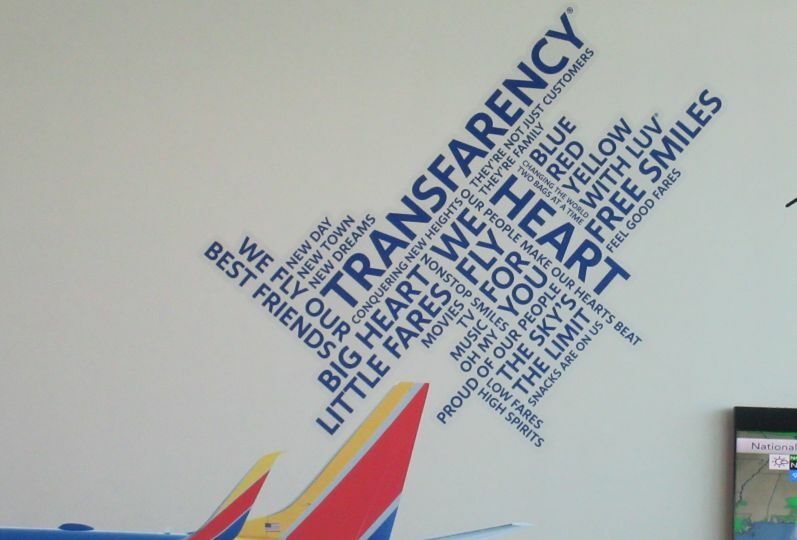 Why do we like to fly Southwest Air? 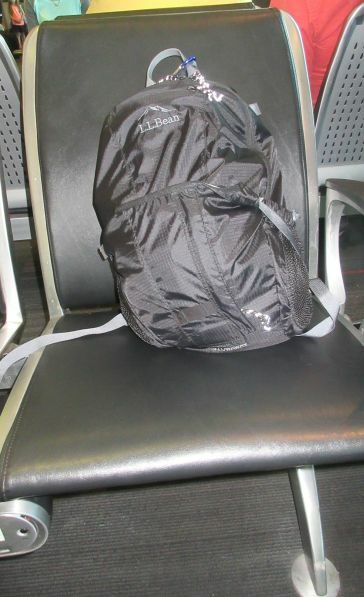 2 Bags Fly FREE (plus 1 carry on item per person)!!! While some airlines might offer sales with cheaper fares, most charge baggage fees. By the time you add the baggage fees to the fare, it is more expensive than just flying Southwest to begin with. When I booked this flight, I had studied the fares for a few months to see about what they cost so I had an idea of how much I should spend. I used Google Flights as well as Expedia, American Airlines, Delta, Alaska Air, & Southwest to compare flight costs. For me, flying from Dallas, Texas, Southwest offered the lowest overall fare when you add in baggage fees on the other airlines. You Get To Pick Your Own Seat! 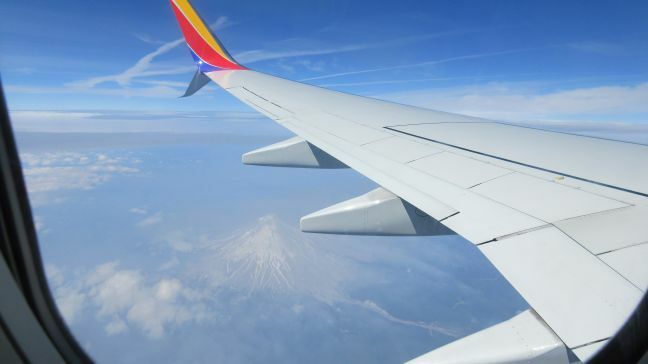 Southwest Air boards the plane by boarding groups that are assigned when you check in. If you want to be in an early boarding group you must check in exactly 24 hours before your plane departs OR you need to purchase early bird check In. The cost for early bird check in is $15 each way per person. This does not always guarantee an A group boarding, but it increases your odds of getting the seat you want. We did not have early bird check in but had B20-B22 seat assignment on the way to Portland. We thought we did pretty good until we realized our plane was filled with people connecting from Chicago when we got on so the 3 of us were not able to sit together. Long story short, my husband had a nightmare of a seat (think isle seat with child vomiting), my son had a nice elderly couple, & I had 2 guys that looked like they sat at table 9. Things were better for the flight home to Dallas, we were able to sit together with boarding B1-B3 again without paying extra for early bird check in. Southwest Air App - You can check in for your flight using the Southwest Air app. As long as you have cell service or WiFi access you will be able to check in for your flight anywhere. Should we fly into Portland, OR or Seattle, WA? Once the airline was selected we then needed to choose between flying into Portland, OR & Seattle, WA. Being ever budget conscious we selected the location that worked best for us financially - Portland, Oregon. As it so happens it worked out nicely for our trip itinerary as well. Had we flown into Seattle, WA we would have had to double back to see everything. 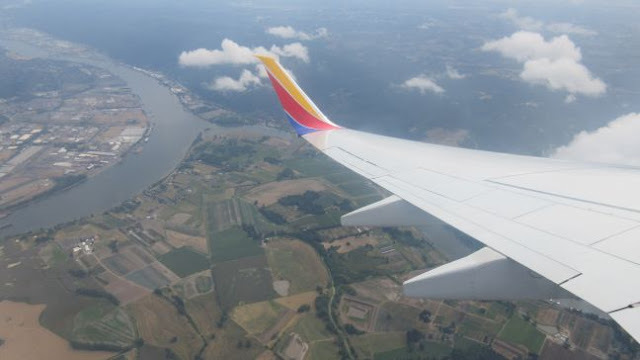 Basically we flew into Portland, OR & made a loop east to the Columbia River Gorge & north to Mt. Rainier & the San Juan Islands, then south to Seattle, west to the Olympic National Park, south to Astoria, OR, & then east to Portland, OR airport. We saved about $50 flying into Portland. Also, the hotel choices near the airport were less expensive in Portland. Another thing to note about Portland is if you are staying in Portland when you land, you can ride the Max light rail from the airport to downtown for a mere $2.50. It's a 38 minute ride, but the Max is highly rated for meeting transportation needs in Portland. Check in for your flight as early as possible (24 hours before departure) so you can get into an early boarding group. Get the Southwest Air app. 2 bags fly FREE for each person. You are permitted to carry on 1 item per person for FREE too! Wherever your travels take you, may God bless you on your journey.